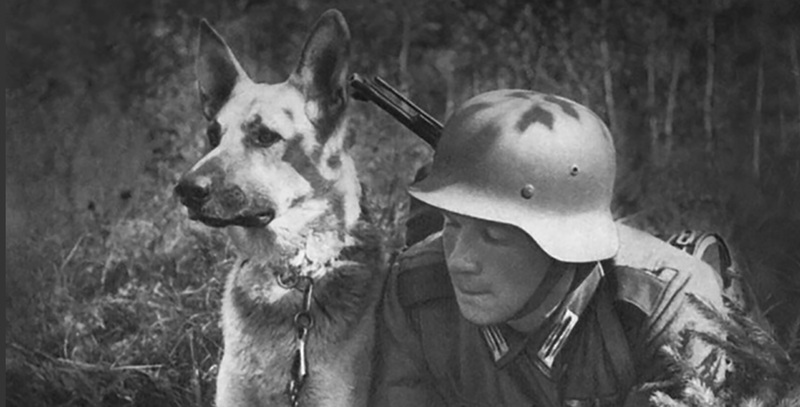 After the incredible performance of German shepherd dogs in World War I, German military again started to utilize them in World War II. Military of United States redistributed the German shepherd and specifically used them as communicators which help to communicate the soldiers of the battlefield. In World War, German shepherds were also used as search dogs and guard dogs and they gave a brilliant performance in all these tasks. After their amazing performance, numerous K-9 training camps were established to train the dogs. At the beginning of 1942, Quartermaster of US Army established a proper dog training center in California. This K-9 training camps took 32 breeds of dogs for training. The basic training duration of these dogs lasted up to 8 to 12 weeks. After these 12 weeks of training, these dogs were again sent to special training courses such as the scout or patrol training, messenger dog, mine detection and sentry dog training. Once this special training is successfully completed, dogs are sent into the war dogs platoons. In World War II, military redistributed around 15 war dogs’ platoons into the European and Pacific area of wars. 7 out of 15 were in the European area and 8 out of 15 were in the Pacific area to serve the nation. And it has been said that due to such great training provided by the K-9 training camp, the scout and patrol dogs gave an amazing performance in the battlefield. And most of the dogs which were redistributed in the World War II are the breed of a German shepherd. These military German shepherd dogs were used for many purposes such as Gun pulling, attacking the enemy, Red Cross, explosive device detection, anti-tank, sentry, communicators and more.